Why (not) Waste Time by Studies? Why (not) Waste Time with Studies? We don‘t want this article to look like discouragement from studies. Studies are important, but it depends on the situation and the person who is studying. Therefore, let’s discuss both the points of view – both the pros and the cons. Afterwards, we will leave it to your consideration whether to study or not. If we omit the fact that Education is a necessary part of your CV, which may be easily and quickly generated here, the first argument in favour of studies is that you can easily learn a lot of new things. Studies can make it easier for you to get to necessary materials, which are frequently restricted in access, and to people with abundant knowledge and experience, who know how to impart such knowledge to their students, how to explain things and teach. Moreover, in some fields of study you can get, under professional supervision, to places not accessible to ordinary mortals. Because you will need it for your job. By the way, this is a very important reason for studies. In certain jobs, you simply need a certificate to prove your competence to pursue the job and to prove that you have the necessary training. Unfortunately, abilities are useless in such cases if they are not confirmed on paper, e.g. a diploma or other certificates. What next? Contacts. And the art of working with contacts. Even the people who dispose of extensive financial property know that the most valuable thing for them is friends in the right positions. And school is just the right place for establishing friendships. Make friends, get introduced; acquaint your friends with other people. Nowadays, this trend has a special name in the professional world – it is the so-called networking. You may read more about networking and about how to foster your contacts in our article called Looking for a Job through Friends. And these are really weighty reasons for studying! Nevertheless, there are some people among us who are able to successfully climb the career ladder without having a piece of "paper" as mentioned above. Such people were born with a talent. Or they are able to learn on the job and if they are offered an opportunity to develop in a job which does not strictly require a school certificate, e.g. because of the safety at work, they are able to adapt very fast. Or they are creative –a quality you cannot really learn at school. Or they have an idea. Or they are simply just so courteous that everyone wants to collaborate with them. However, such people (or someone in their neighbourhood, most frequently the managers) have one basic property in common: the ability to sell themselves. They know which of their qualities they should draw attention to and how to do it and they also know whose attention to draw to such qualities. Once again, we are getting to the topic of networking. Although school is an excellent source of new contacts, it is by far not the only one. You will eventually decide whether studies are of any use to you or not. Consider it carefully. If we don’t take into account primary and lower-secondary school, students usually spend two years by studying a vocational school; if they complete a secondary school and subsequently go to university, they may attend school for more than ten years without really earning money. Considering life expectancy, this is too much time to talk about it as badly-invested. Do not waste time and do not create anything manually! professional résumé generator. It is quick, easy, user-friendly and clear! 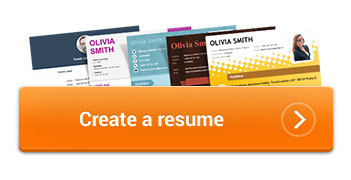 Thanks IQresume.com I create a professional résumé in 10 minutes. I have professionally presented myself to companies and landed the job of my dreams as well as 38.818of other users! IQresume.com © 2019 / All rights reserved / Copying any content on the website is prohibited. The website has been notarized!